Hello everyone and welcome back, once again. It has been a long time since I have shown any signs of being alive and kicking! I don’t really know what happened.. I guess I was feeling so positive and confident about blogging and uploading videos on YouTube that once I noticed that it is not as easy as it may seem, I lost the will to carry on. Bad, I know.. but it happens. With my crazy nursing shifts at the hospital it is so difficult to film, edit, upload and write a blog post. Anyways, to try and solve this problem I decided to instead of uploading twice a week on my YouTube Channel, I will only upload once a week, normally on a Wednesday. I know that if you want to be “successful”, have more views and be noticed on YouTube, that you should upload frequently and have a regular schedule but for some people – me, for example – that is impossible. Or it would be possible but we would have quantity instead of quality and I am not up to that. So, from now on it will be one video once a week. If I have more time, like once a month, I could upload two videos in the same week but that will probably be very rare to happen. Anyways, I am sorry for the long intro but it had to be done. Moving on for the actual subject of this blog post, I uploaded a new video today on my YouTube Channel. 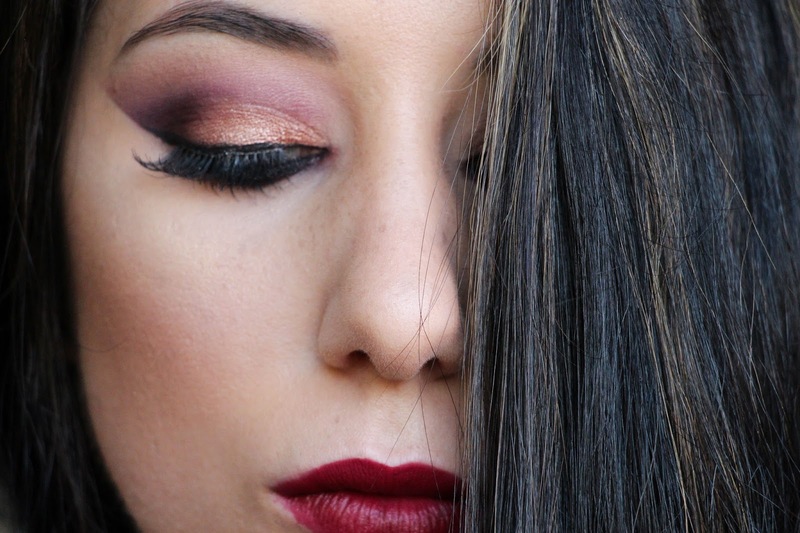 It is an Autumn inspired makeup, perfect for an evening out. It is very bold in my opinion with one of my favourite lipsticks at the moment: Divine Wine by Maybelline. I really hope you enjoy it. Let me know any looks that you would want me to recreate and I will see you all next week!